How do you get students engaged and excited to read and write about what they are reading? I’ll give you a one word answer – Feedly! Often overlooked as a classroom reading option is to use a tool like Feedly to pull things that truly interest students and deliver them directly in one place. Part of the appeal of the web is that there are websites and blogs for just about any topic you can conceive of! 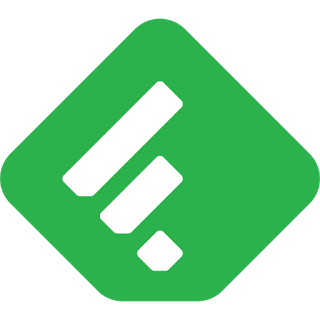 The beauty of Feedly is that it collects all the updates/new posts from all websites from their favorite topics in one place rather than them taking precious classroom time to find things that interest them. The concept is simple – keep their book bins full of great, interesting, thought-provoking things to read about without lifting a finger. The most exciting thing is they like it! But how does Feedly work? Feedly works on something called RSS. RSS stands for Real Simple Syndication and is basically a file that gets constantly updated with the most recent changes made to a blog or website. Most people don’t realize that you can “subscribe” to the updates. Most modern blog (Blogger, WordPress, etc.) and many websites have what’s called an RSS feed for the page. This is a huge time saver. Once you have subscribed to that website, Feedly will then go out and pull in all the latest posts from your subscribed sites and displays them for you in one central location. Instead of you trying to go visit all favorite sites, Feedly bring all that content to you! This is awesome for students! Imagine – that book bin always full of reading material on topics that students are excited to read and write about! That’s the beauty of Feedly. Click on the RSS feed link and then copy the link from your browser’s URL bar. Go to the Feedly website and click the “Add Content” button in the top left. Paste in the copied RSS feed link and choose the blog from the drop down list. Finally click the +feedly button to add it to one of your collections of feeds. Encourage students to organize their feeds into collections – areas of interest. Go to the blog you want to add to Feedly. If you have the Feedly Chrome extension installed, look for a gray Feedly icon in the bottom right corner of the page. Once students subscribe to the feed, changes/new posts from subscribed blogs/websites automatically appear in Feedly. All they have to do is simply visit the Feedly website or use the mobile app, choose a collection they wish to read and all the latest posts from that collection is listed. Now that students have a reading list of things that truly interest them, you’ll find that they not only devour their reading, they will be excited to share what they have read. You can turn that excitement into a blogging or a collaborative experience. There are tools for that too, but that’s another post! Happy RSS’ing and engaging your students! I have really enjoyed exploring feedly. I am glad you introduced it to our class! I have my professional sites I follow and my personal one about the boundary waters. I have read great content from both!